A woman with multiple sclerosis has lost her High Court case to clarify the law on assisted suicide. Debbie Purdy, 45, from Bradford, is considering going to a Swiss clinic to end her life, but fears her husband may be charged on his return to the UK. She had wanted a guarantee that her husband, Omar Puente, would not be prosecuted. There have so far been no prosecutions of relatives of 101 UK citizens who have gone to the Dignitas clinic. How can we make sure that we act within the law if they won't tell us in what circumstances they would prosecute? Ms Purdy, who was diagnosed with primary progressive MS in 1995 and can no longer walk, was granted permission to appeal because of public interest in the case. But speaking outside the High Court after the ruling, she said she was disappointed with the result and would be appealing. "We still don't know how we can make sure that we stay within the law, because I'm certainly not prepared for Omar to break the law - I'm not prepared for him to face jail." "How can we make sure that we act within the law if they won't tell us in what circumstances they would prosecute?" She said she was still considering travelling to Switzerland to take a lethal dose of barbiturates prescribed by doctors at Dignitas. Ms Purdy wants her husband at her side but fears he may be prosecuted on his return to Britain, and says she may therefore have to make the trip earlier than she really wanted. Aiding or abetting a suicide is a crime punishable by up to 14 years imprisonment. A judicial review was granted to Ms Purdy on the grounds that the Director of Public Prosecutions (DPP) had acted illegally by not providing guidance on how decisions on prosecution are reached. During the hearing earlier this month, she argued the lack of clarification was a breach of her human rights. But two High Court judges have ruled they had not been infringed and existing guidelines were adequate. Lord Justice Scott Baker said: "We cannot leave this case without expressing great sympathy for Ms Purdy, her husband and others in a similar position who wish to know in advance whether they will face prosecution for doing what many would regard as something that the law should permit, namely to help a loved one go abroad to end their suffering when they are unable to do it on their own. "This would involve a change in the law. "The offence of assisted suicide is very widely drawn to cover all manner of different circumstances - only Parliament can change it." It is not the first time the issue has been raised in the courts. 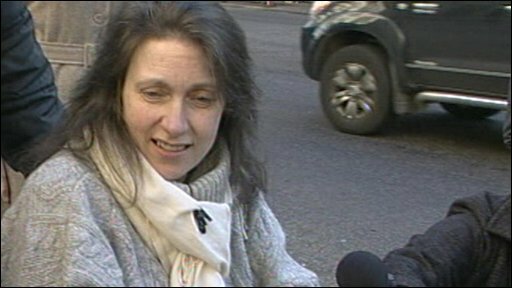 In 2001 Diane Pretty, who had motor neurone disease, failed to get immunity from prosecution for her husband if he helped her to die in the UK. Several attempts to legalise suicide in Britain have also been rejected.